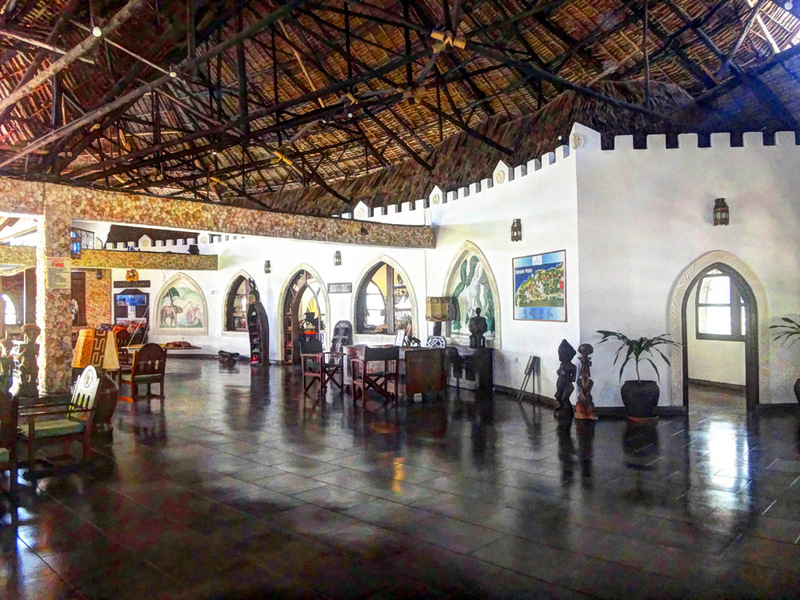 It was my last day in Watamu, I was going to be home alone so my friend suggested that I visit her where she works; the Temple Point Resort. 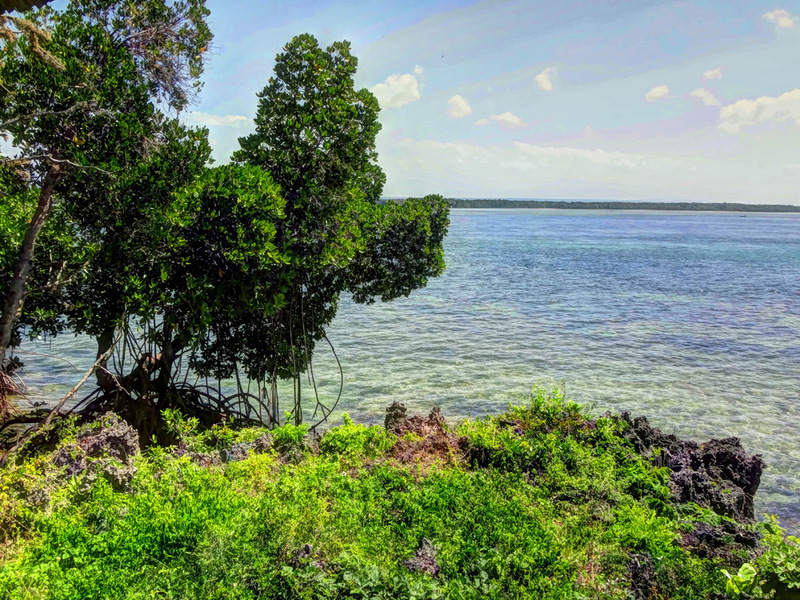 Temple Point Resort is situated in the middle of the Watamu Marine National Park, right at the mouth of the former port entrance of the ancient city Gede. 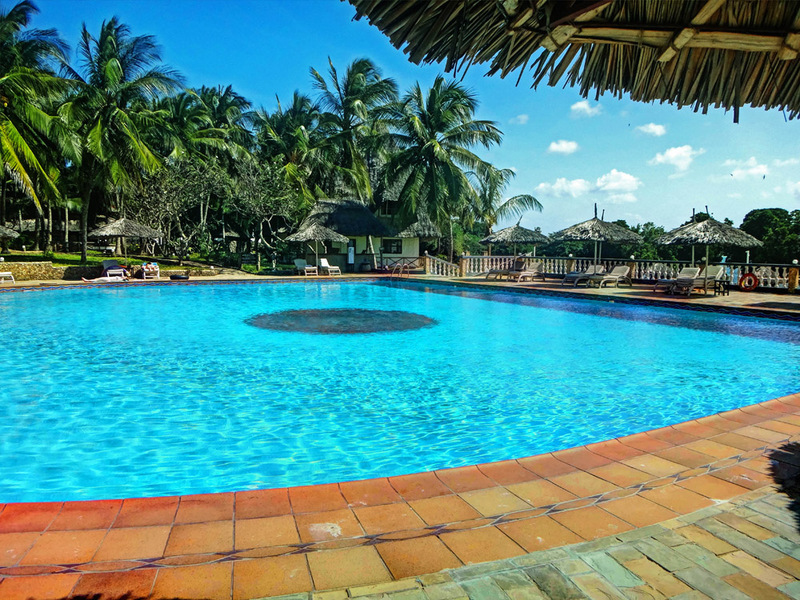 The Resort is 25km away from Malindi, and is easily accessible via public transport. It cost me Kshs100 ($1) on a tuktuk to get from Timboni to the resort. Make sure you save the number of the driver so you can call him/her when you are ready to leave. 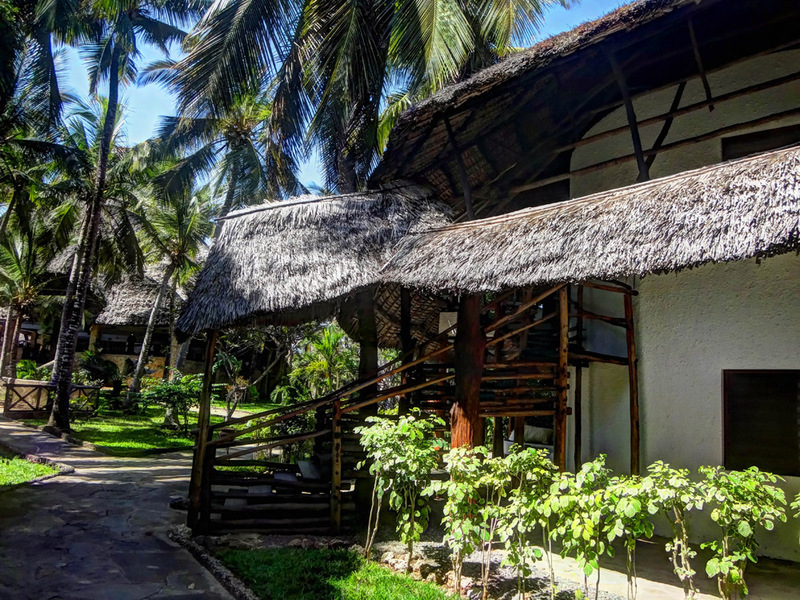 The resort is named after and built on a site where an ancient temple once stood, some of the ruins still exist. I love the décor at the hotel; they make good use of leso and kikoy fabrics (traditional Swahili fabrics). 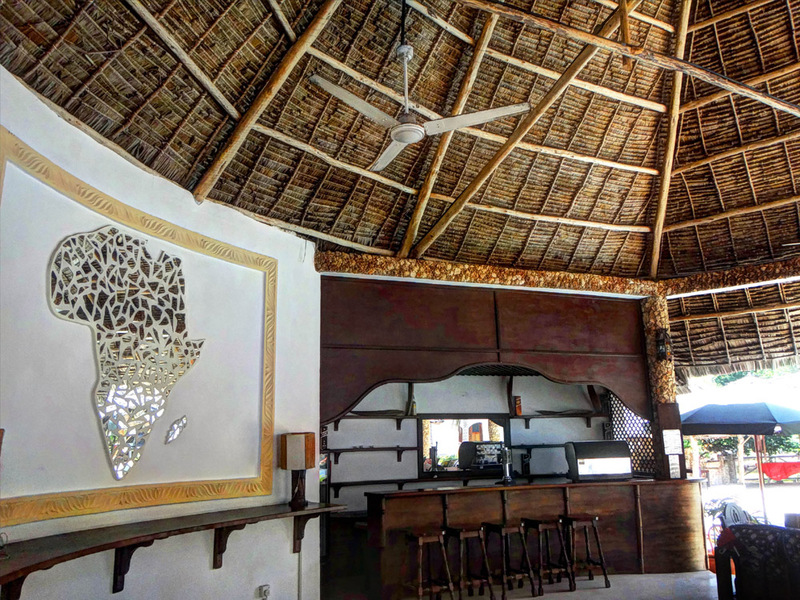 I also love the Swahili/Arabic interior design of the ceilings. 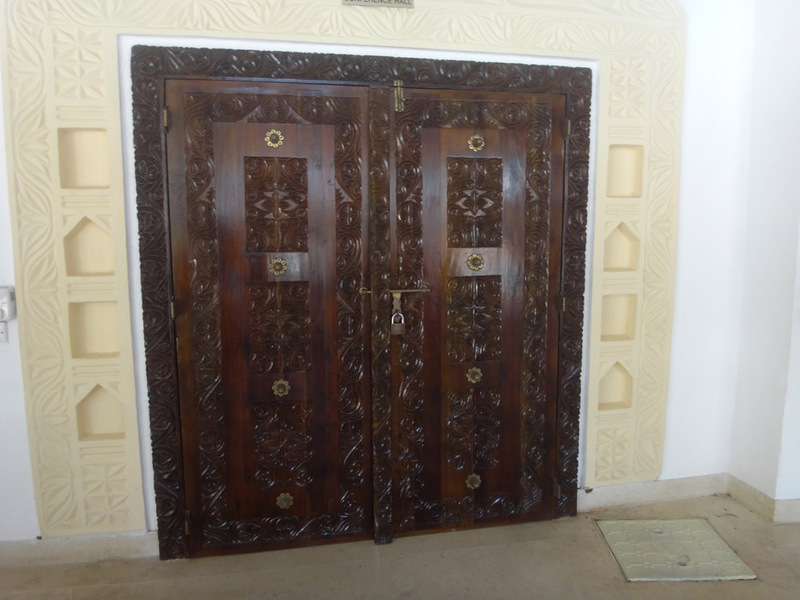 The door design inspired by traditional Swahili architecture which involved imposing carved wooden front doors with intricate designs. After a stop at the reception my friend gave me a mini tour of the hotel. First stop was the walkway to the creek. 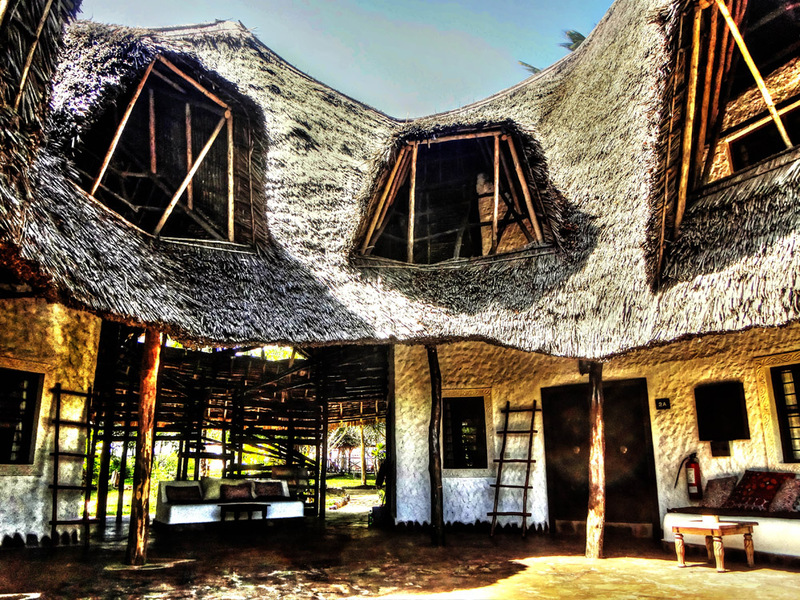 Right beside the walkway there is a makuti (roofing made of palm leaves) structure that looks perfect for a sun downer. There’s a little table and some antique lamps. You can also a hire a boat to take you around the creek. We then took a walk to the beach. The hotel has its own private beach where you can chill and take a dip in the ocean if you so choose. On your way to the beach you can spot the ruins of the ancient temple. 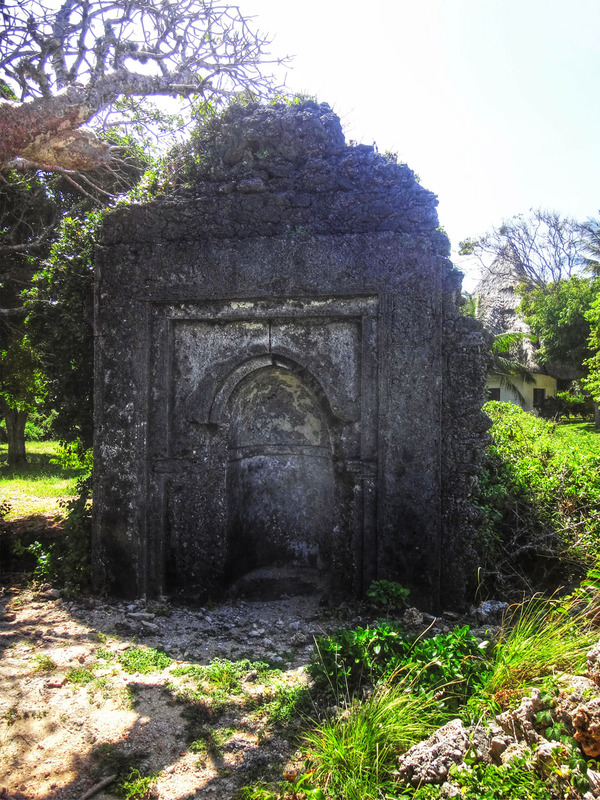 Temple point was once a port into Gede (an ancient Swahili Kingdom) and the ruins are those of a mosque. The above ruin is a mimbar; a pulpit in the mosque where the Imam (prayer leader) stands to deliver sermons. There were obviously no loud speakers in those times so the imam would stand facing the wall and this would help amplify his voice. 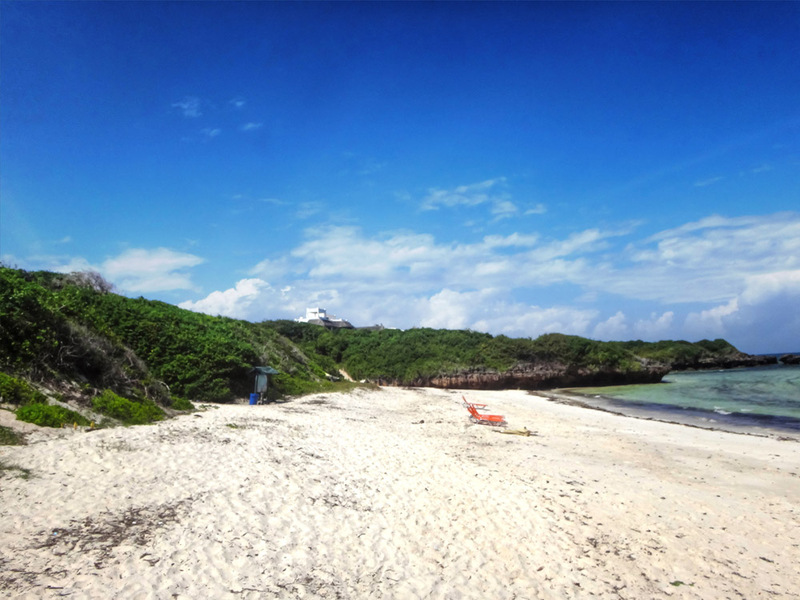 The beach is by and large empty during the low season. The low season is between the months to June to September when countries in the Northern hemisphere are experiencing warm weather. 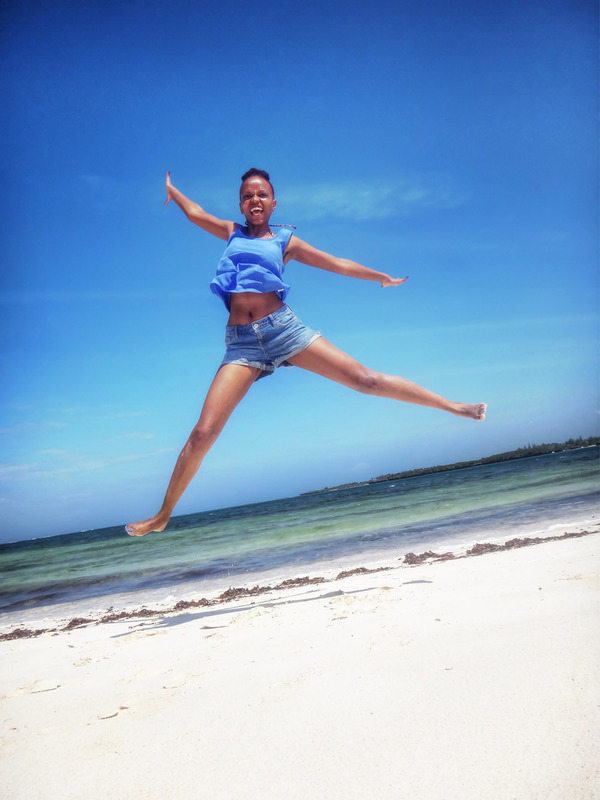 This is the best time to visit, the beaches are empty and hotels are offer massive discounts. The Weather is also less humid during this period. After the walk to the beach I got to see a bit more of the hotel. There is a bar area right next to the pool but is only operational when there are many guests. 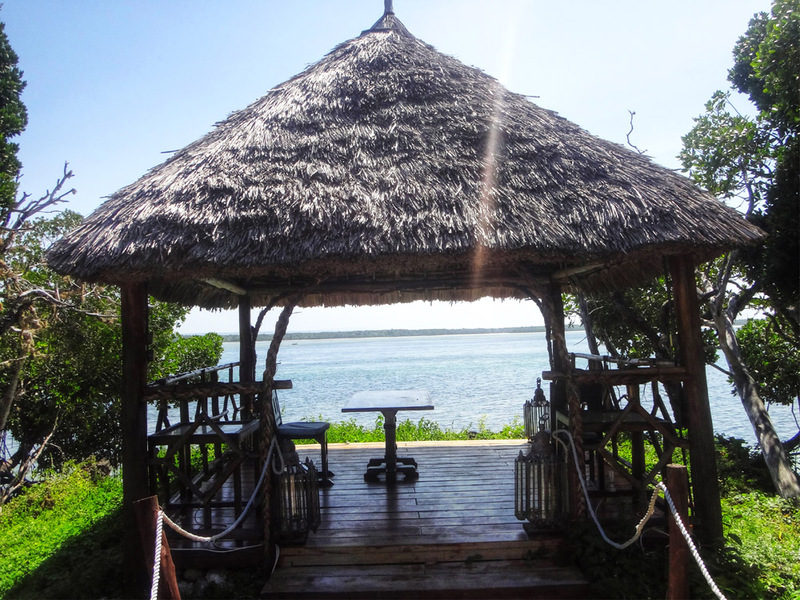 I can’t say much about the accommodation a Temple Point since I did not spend a single night there, but I can definitely recommend it if you want to swim , It cost Kshs 500 ($5). 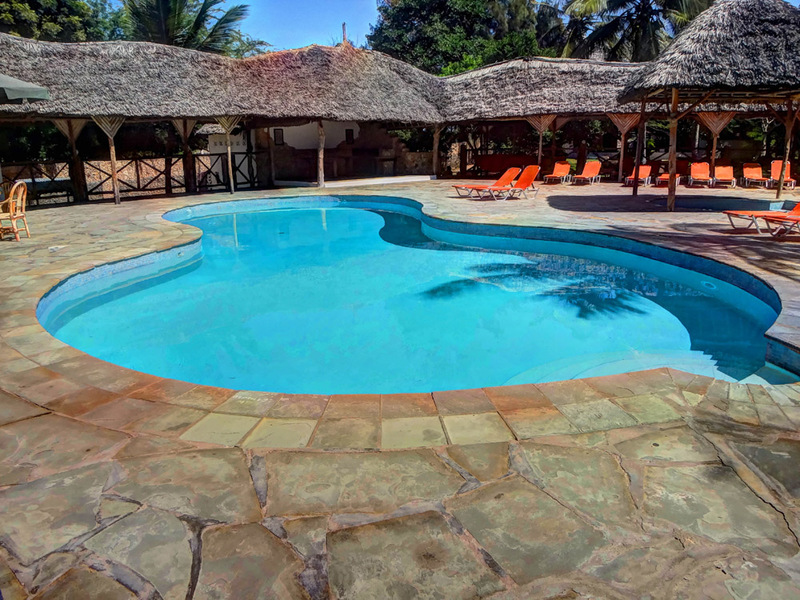 I would have spend the whole day in the swimming pool if it were not for the fact that I had to travel to Mombasa that same day. We first made a stop at one of the smaller swimming pools in the resort. After my tour I finally made it to the main swimming pool. The main restaurant is in the background. I enjoyed the tranquillity of having the swimming pool to myself. Verdict: Great hotel, good service, good food, lively atmosphere and friendly staff. 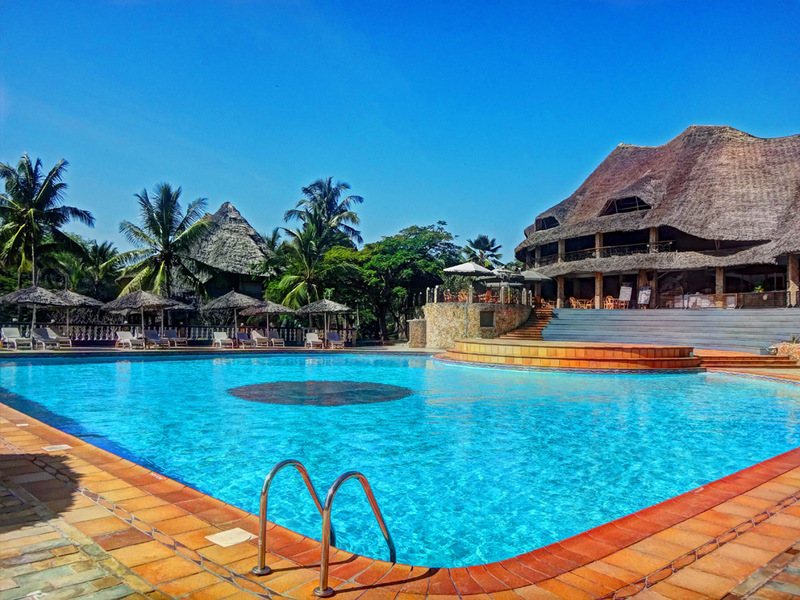 I will be spending the Christmas season in Watamu, rest assured I will capture the majestic sunrise and sunsets on the beach. 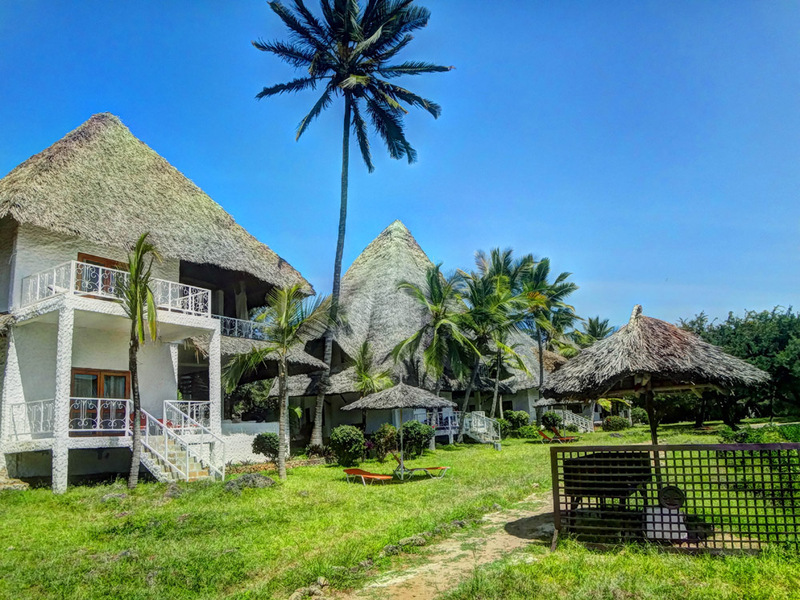 Temple Point Resort is located in Watamu, 120km north of the coastal city of Mombasa and only 25 km from the charming tourist town of Malindi. 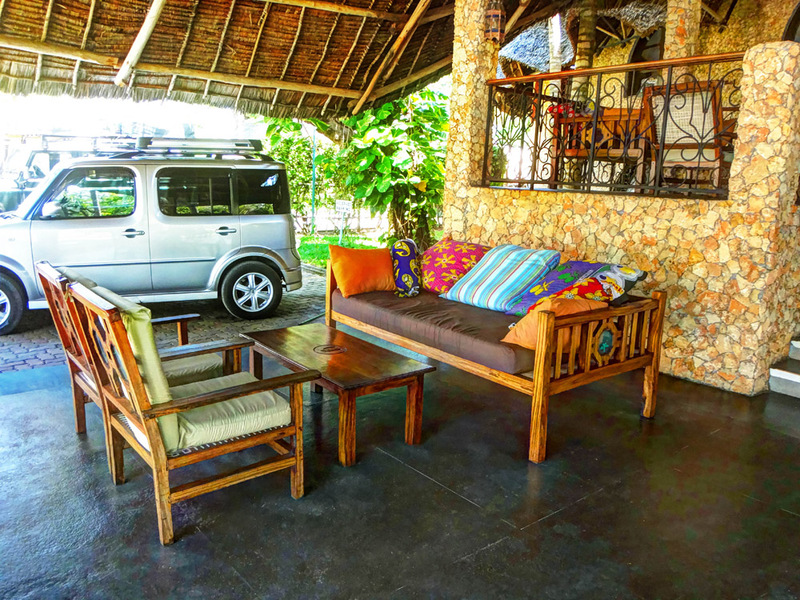 They operate a twice a week hotel shuttle that picks tourists from the Mombasa airport. 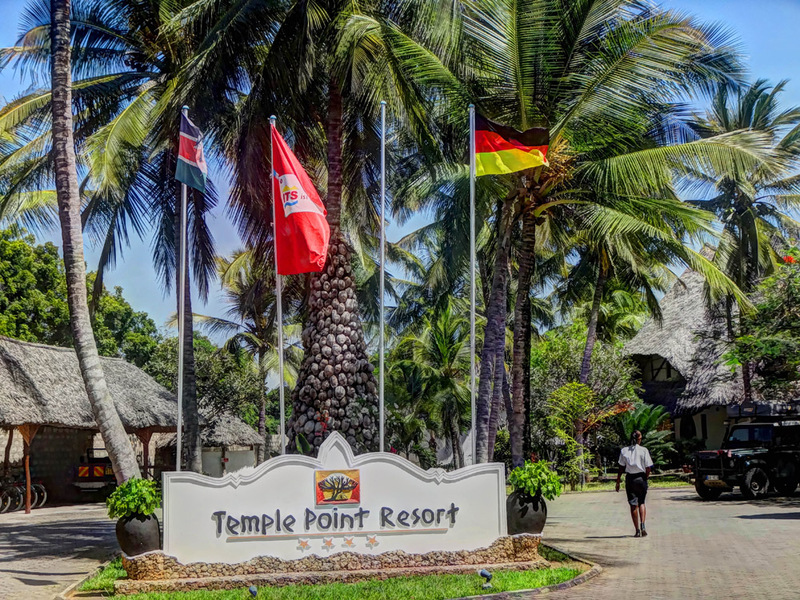 The location of Temple Point Resorts enjoys a high level of security. 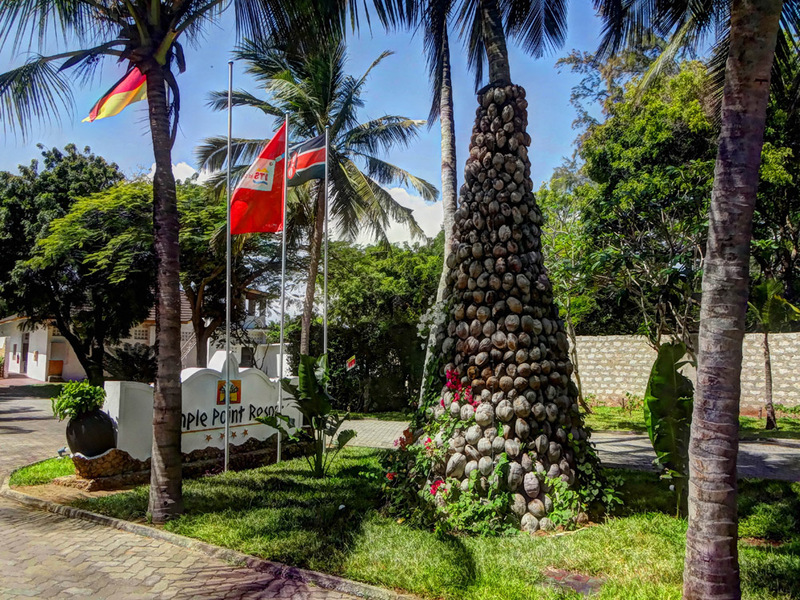 The hotel security personnel in conjunction with the local Kenya tourist police and the KWS servicemen make sure that you can enjoy your holiday in an absolutely relaxing and safe area. Linked to Travel Photo Mondays , Our World Tuesday and Travel Photo Thursdays. It looks like you had the whole place to yourself. I love resorts like these that have local touches and takes advantage of its location. The door is beautiful and those pools are just so inviting. I don’t blame you one bit for spending time at the pool. Beautiful place! The pics make me wish I was in Coast right now. Wow – stunning shots. What a great place. Could do with some of that right now, it’s cold and grey in London! That first photo is spectacular! 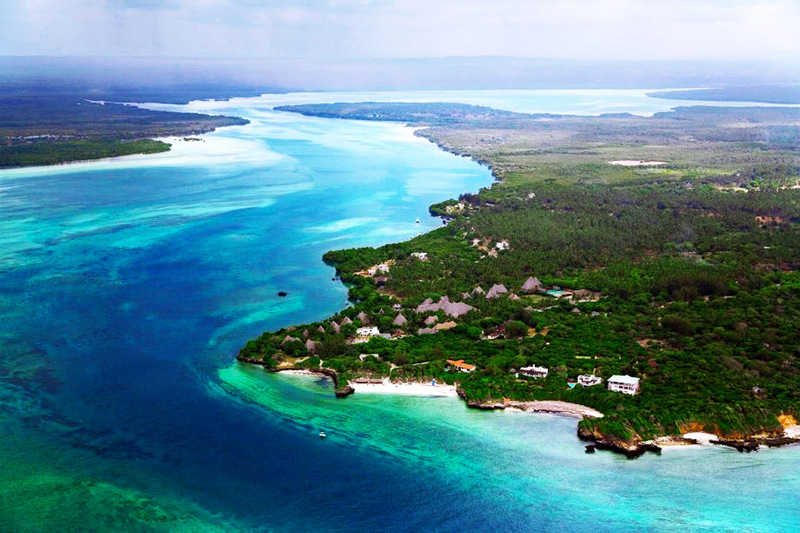 I’ve been looking if you mentioned the country where Watamu is, but can’t find it. Is it in South Africa? The vegetation and structures seem like they are in my country, The Philippines, except the detailed designs. 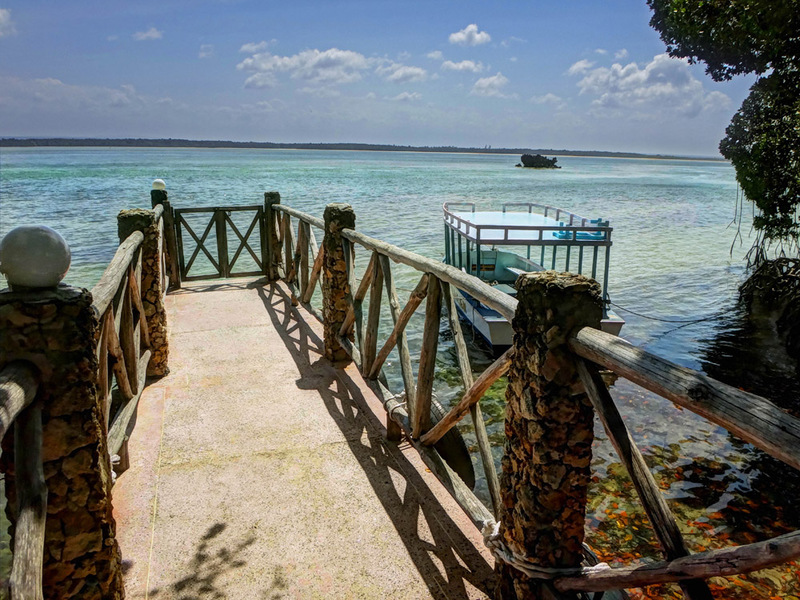 Watamu is in Kenya Coastal region. when we say that our country is magicial it’s exactly that, Magical. 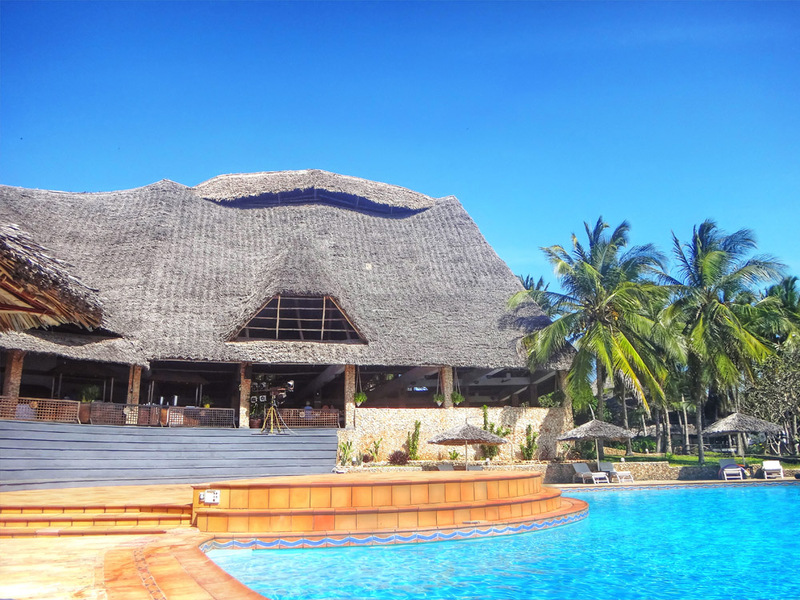 The resorts looks lovely offering a memorable travel destination. Once again I am blown away by the stunning scenery. 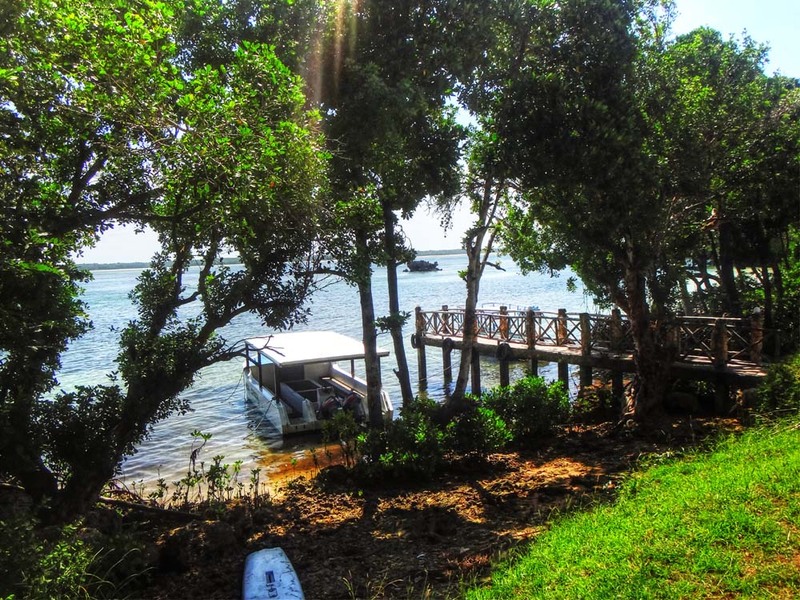 WOW, look at the Birds view Temple Point Resort and the Mida creek – I’m speechless! “My land is Kenya…….” Oh! i was singing. That’s the happiness of having a beautiful country as you can see. 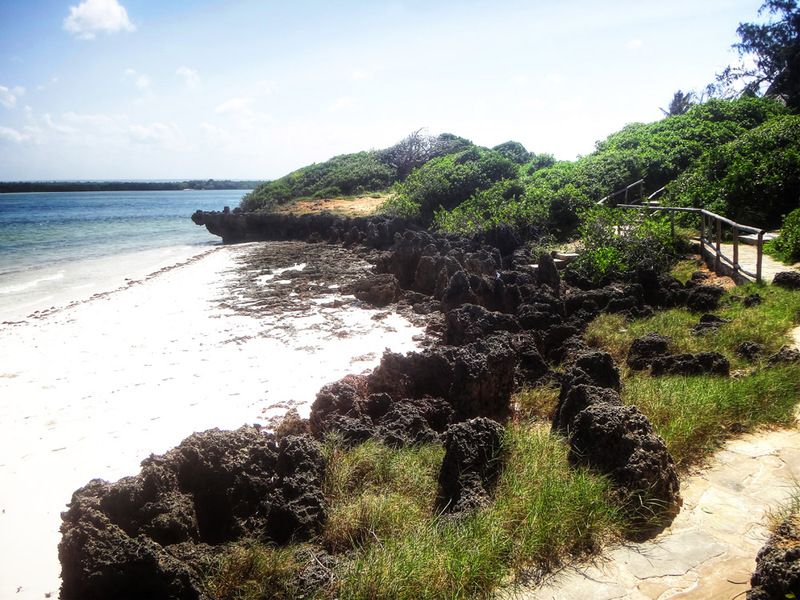 I love Watamu and coast province in general. You will always find great places there. I love being able to pay and use the resort’s pool without actually staying there. Your photos are great and the resort looks fascinatng. The bird’s eye view of the resort is stunning. Such a lovely resort. It’s wonderful to have that beautiful relaxing pool to yourself. 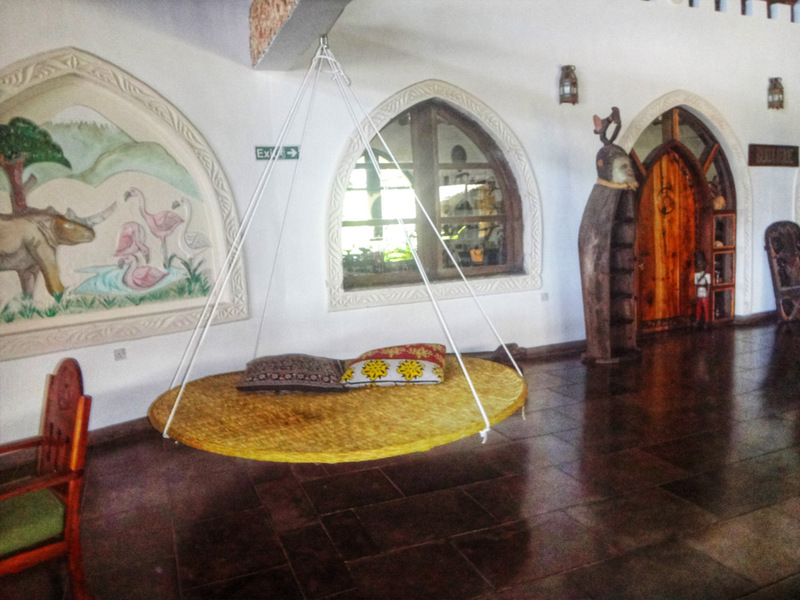 I’d love to laze on the charming swing on the lobby and I’d definitely love to dip on the private beach. I hope you can return and share the sunrise and sunset from this spectacular place. Wow,what beautiful place have to visit that place soon.The pics are breathtaking…. I would love to go to a resort in the midst of ancient ruins! I always like the idea of sitting on a warm beach, but I end up bored after half a day if I can’t explore an area’s history or culture. This seems like a perfect compromise. Stunning photo ! I so wish I was there right now. I could use some relax time on the pool. A private beach and temple ruins sound good to me! That water is such a pretty shade of blue, too, in the aerial photo. What a beautiful resort! I love the décor at the hotel with lots of traditional elements used. The creek and beaches look amazing!